HTML5 Flip Book is distributed as an Adobe Dreamweaver extension, packed as a file, named JQFlipBook.mxp. Read more in the online help. Lots of magazines and brochures are being created and then published on websites each day. Digital publications created using our HTML5 Flip Book offer professional and well-crafted look with the most realistic paper flip animation for your website visitors. Additionally, soft and hard types of the book page paper will only increase this effect. Flip Book has a page thumbnail window feature. Very useful feature if you have large book. It is opened in a beautiful popup window and shows thumbnails of the page spreads so user can quickly scroll through the whole book and choose necessary page. Moreover, besides thumbnails window, HTML5 Flip Book has popup window with table of contents where user can navigate to necessary book chapter. Component has fullscreen mode that provides easier way to present book content to site visitors using the entire screen. Use bookmarks to divide the book into for example categories or provide some additional info about the page. Also you can change the book direction (RTL) and make reverse flip book - right-to-left - this is especially important for the eastern countries. Book pages support Ajax technology and allow loading pages dynamically through Ajax requests. Flip Book offers magnification feature that allows your readers to zoom in on book page images. User-friendly Wizard that includes a wide and large range of parameters and provides the ability to adjust component design according any site theme. The installation package contains Dreamweaver extension, providing you the ability to easily create Flip Book, all in Dreamweaver CS3, CS4, CS5, CS6, CC 2014, 2015, 2017 and CC 2018. There is no need to dig into CSS files to make some changes in component style. All colors, fonts, sizes, spacings and other - can be changed to fit the look and feel you want with few clicks. You can easily create necessary list of pages, using page editor. 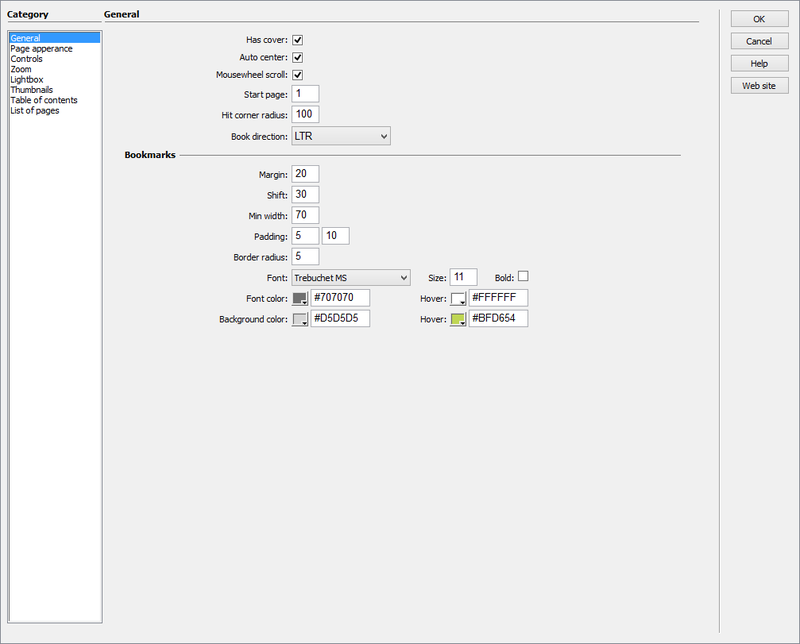 Through the page editor you can add or remove pages, write description or add images. You can specify type of the page: is it soft or hard. Book can combine two adjacent pages to create wide page. 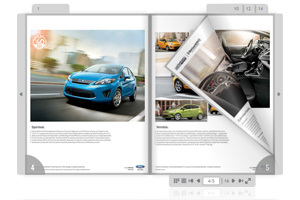 Flip Book has popup window with thumbnails of the page spreads so user can quickly scroll through the whole book and choose necessary page. Flip Book has popup window with table of contents where user can navigate to necessary book chapter. Flip Book offers magnification feature that allows your readers to zoom in on book page images. It provides easier way to present book content to site visitors using the entire screen. Use bookmarks to divide the book into for example categories or provide some additional info about the page. Reverse flip book for the eastern countries (right-to-left). Use any image texture to set as a pages background. Drag the corner of the page to view the page flip effect or just use mouse scroll. Pages can display any HTML code. Component can load external content dynamically using AJAX. Everything you need is to add a link through the editor. Content is situated inside structurally semantic HTML code and can be easily accessed and indexed by search engines. Installation package contains Dreamweaver extension. Dreamweaver extension allows you to easily create HTML5 Flip Book. Extension has user friendly interface.